This week will be about color! I am all about white and neutrals so I will be stepping out of my comfort zone… Today we start with a combination that I have been seeing a lot lately: pastel with a bit of neon. 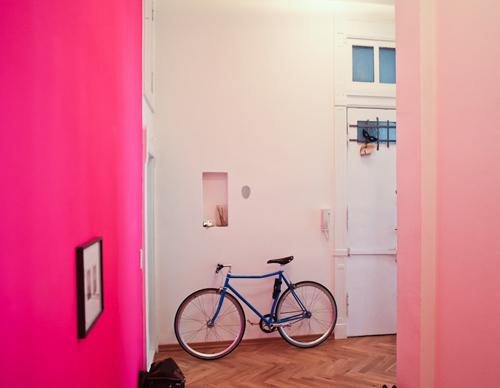 A bright pink wall combined with a softer shade of pink (above). 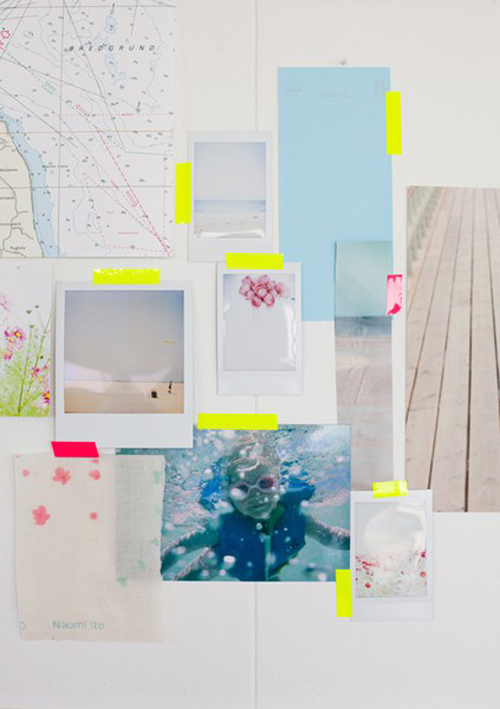 Below: neon yellow masking tape holding pastel colored photos and prints. Very original, and always beautiful reports ! LOVE this! So fun and spring-like! I’m loving these photos and color combination- especially that last photo. So pretty! Hi, Wow what a wonderful set of pictures!! Oh my gosh the neon tape is genius. Prevent the whole messy-taped up look and replaces it with a “totally did this intentionally and it totally wasn’t a lazy way out” vibe! Wow, I didn’t think those palettes would go together but I think they balance each other quite nicely! WOW! 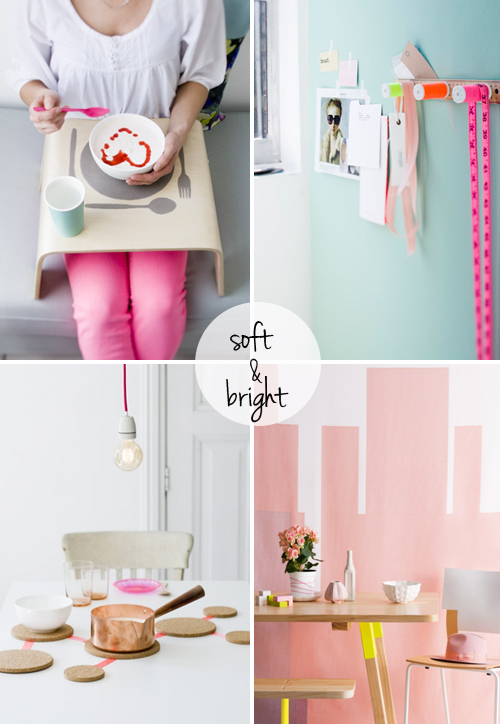 I’m actually crazy about that combination, I love neons and pinks, they just catch my eye!